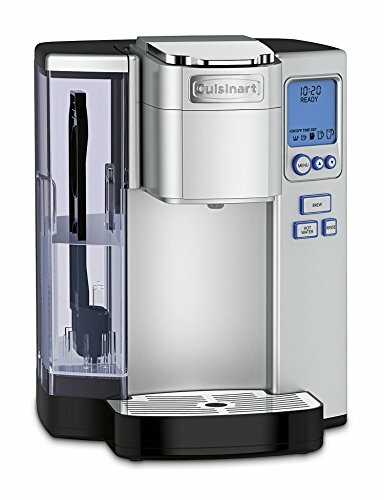 The Cuisinart Premium Single-Serve Brewer offers freedom of choice! Choose 4, 6, 8, 10 or 12-ounce serving sizes, choose the ideal temperature, and enjoy a cup of coffee, tea, soup, or cocoa. This brewer is K-Cup compatible and also includes a HomeBarista Reusable Filter Cup for your favorite brew. The drip tray pulls out to accommodate travel mugs and the 72-ounce water reservoir eliminates the need for frequent refills! Refer instruction manual before use.